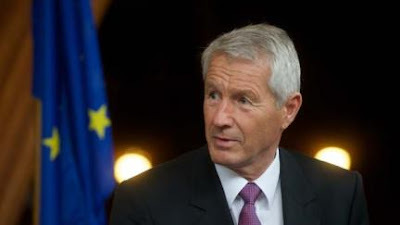 In a speech at Leiden University Thorbjørn Jagland, Secretary General of the Council of Europe, called for the debate on immigration in Europe to move from emotion to facts. Of course we have to discuss how integration works or, on the contrary, does not work. Some 15% and 20% respectively of first-generation people of Turkish and Moroccan origin consider themselves Dutch. The proportion is considerably higher for the second generation. This shows clear progress, but there is cause for concern: half of younger people of Turkish and Moroccan origin do not feel wholly or predominantly Dutch. The emotional picture is however – that migrants take our jobs, cheat on social benefits, monopolise social housing, generate criminality and practice alien values. These prejudices would not hold if there was nothing true in them. It is for instance true that no less than 54.7% of young men of Moroccan origin in Rotterdam have had at least one brush with the law compared with 18.4% of ethnically Dutch young men. But that is only the face of the problem. The real one is social exclusion. I also disagree with Jagland on the idea that prejudices only hold if there's some truth in them. It's an abhorrent notion, and I hope the Council of Europe will officially condemn this statement.